The data, from 4C Insights, indicates that Facebook’s enduring performance can be attributed to strong return on investment for marketers dispelling any fallout from Cambridge Analytica. Across all of the six major publishers, 4C tracked a 15% increase in ad spend over the second quarter, and a 49% increase year-over-year. Snap experienced 45% YoY increase in ad spend. Through innovations; Shoppable AR lenses offering advertisers a new direct response ad placement and, going forward, will offer a "Visual Search" engine that allows users to scan, identify and purchase an item via Amazon simply by using their smartphone's camera. Measured around the group stage matches from 14th June to 25th June, the betting company saw a social lift score of 696%, with its “Enough of the Nonsense” campaign, that plays off the introduction of VAR technology to the game. Similarly, TV ad spots from Betfair, Coral achieved an average social media sentiment score of 71% from nearly 250,000 engagements with all three brands. Across all of the six major publishers, 4C tracked a 15% increase in ad spend over the second quarter, and a 49% increase year-over-year. 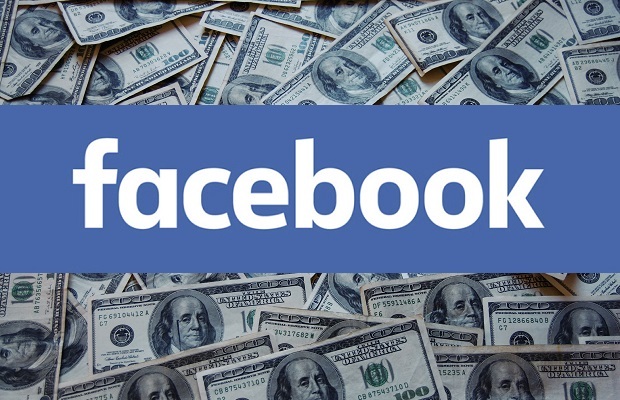 Facebook’s enduring performance can be attributed to strong return on investment for marketers dispelling any fallout from Cambridge Analytica. Looking ahead, Facebook is poised to capture growth from new formats like augmented reality ‘Story Ads’. Meanwhile, Instagram benefited from shoppable items on its main feed and in Q2 opened up Stories to allow brand ‘stickers’ that send users to retail experiences. To assess digital advertising growth, 4C analyses a representative sample of more than $250 million in media spend from over 1,000 individual brands managed through its platform. To gauge TV advertising trends, 4C’s Teletrax technology monitors 2100+ TV channels around the world while keeping track of the biggest advertisers in the UK. In Q2, Snap introduced Shoppable AR lenses offering advertisers a new direct response ad placement and, going forward, will offer a "Visual Search" engine that allows users to scan, identify and purchase an item via Amazon simply by using their smartphone's camera. Such innovations helped Snapchat advertising spend increase 45% YoY through 4C, led primarily by the apparel vertical, as well as health. In a similar vein, Facebook’s new augmented reality ad feature for its news feed works across the categories of fashion accessories, cosmetics, furniture, gaming and entertainment. Michael Kors was the first brand to pilot the offering, giving customers the opportunity to try on different looks. The evolving dynamic between brands and consumers and the importance of an audience-centric experience was reflected in Advertiser Perceptions’ recent report. The survey of 303 senior US and UK marketers found that 89% of agree that audience-based campaigns are key to success, but 85% feel the current fragmented media landscape requires a new marketing structure that enables advertisers to operate seamlessly between publishers and platforms, including digital and TV. While the high-profile merger of AT&T and Time Warner shook up the TV industry in Q2, more locally the World Cup dominated the airwaves, with Paddy Power seeing the greatest lift in social media engagement following UK TV ads.